Locality: United States, Florida, Sarasota, United States: Florida: Sarasota County. Sarasota, Longboat key, southend, beach hammock overlooking Gulf of Mexico. Agave - Juniperus - Sabal - Yucca association. Prickles curved. Occurrence Remarks: [Admin. note:] Coll. no. is typed next to O. Lakela. 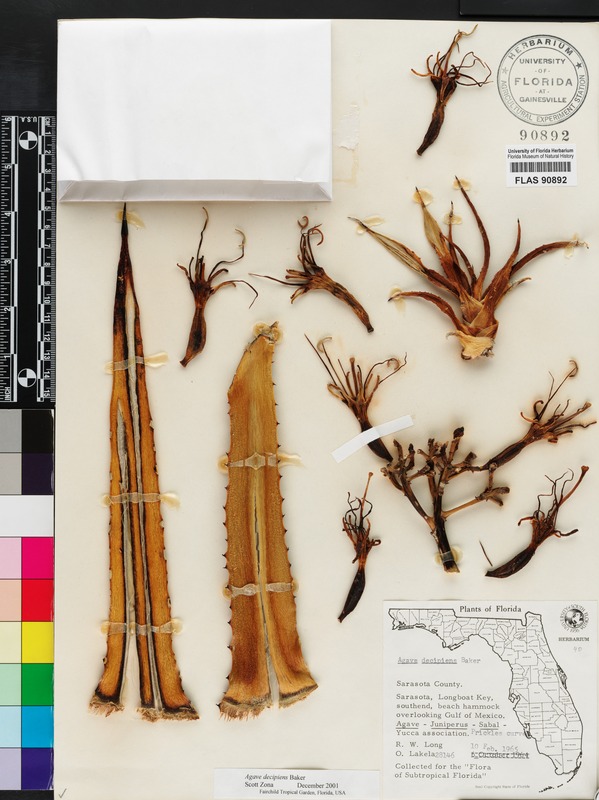 --[Label footing:] Collected for the "Flora of Subtropical Florida"